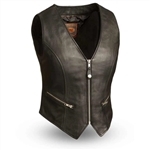 Look great while you ride with the perfect ladies leather motorcycle vest from Leather Bound. 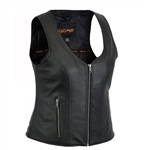 Browse our impressive selection below. 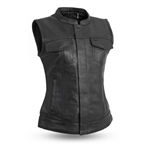 A good leather motorcycle vest is the perfect riding accessory for any biker chick. 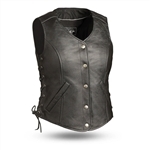 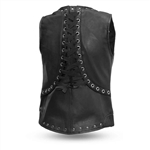 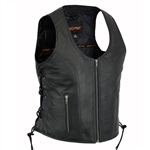 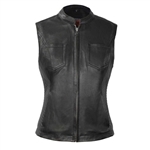 Leather Bound carries a large selection of leather vests for women in popular styles and fits including the new distressed gray leather motorcycle vest. 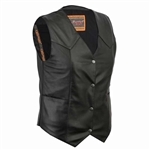 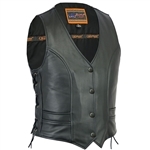 Choose from classic biker snap front vests, zip front styles as well as distressed brown leather and black leather vests with fringe trim. 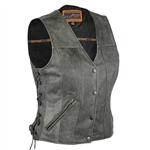 Be sure to check out our impressive selection of ladies denim motorcycle vests in blue and black denim as well.